Don’t you hate it when you read a book or watch a movie and the main character is perfect? Or if they have flaws, they’re the adorably cute kind that everyone loves? It’s so hard to find people that are real in books. And that’s why I always enjoy it when I open a Varina Denman book. She doesn’t sugar coat life and make it all seem unreal. Her characters have real lives, real struggles, and real issues. And through each journey, they need to learn how to deal with these issues. Lynda Turner is one of those people. The difficulties in her life aren’t exactly the same ones that everyone has. I mean her ex-boyfriend told everyone she cheated on her husband and that caused her husband to abandon her. That’s not something you run into every day. However, the feelings of abandonment, loneliness and believing you aren’t good enough are things I struggle with regularly. There are moments in this journey that were difficult to handle. A couple of times, I felt like I was watching a movie through my fingers. Lynday’s feelings were turbulent and hard to handle. But the step by step journey taking apart the bad memories and redefining her thoughts of herself and her situation were beautiful. It’s something we all need to do sometimes. I really enjoyed this final chapter in the Mended Hearts series. The entire series, as a whole, gave an in depth look into life in a small town. From those who spend their time focused on everyone else’s issues to those who feel that they are infallible, Denman nailed it. This is one of those books you might want to tuck into your bag for the beach. A fast read, that doesn’t negate the depth of the characters. Entertaining from cover to cover, Jilted is a story that will stick with you in the best way possible. Varina Denman is author of the Mended Hearts series and a native Texan. 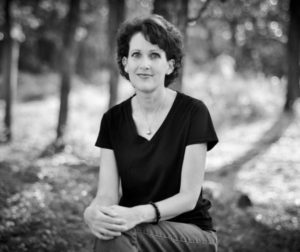 She spent her high school years in a rural town and now writes stories about the struggles women face in similar small town settings. She and her husband live near Fort Worth, where they enjoy spending time with their five mostly-grown children. 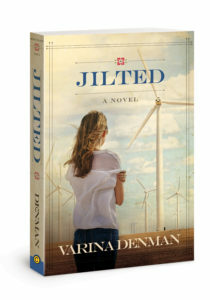 Note: I received this copy of Jilted as a part of the Radiant Lit Jilted blog tour. The book is available for purchase at Amazon.com.